Following the recent success of the Falcon 9 launch with six ORBCOMM spacecraft, SpaceX is in the midst of speedy turnaround of its Cape Canaveral launch site, ahead of the ASIASAT-8 mission. While SpaceX remains on track for a record year, CEO Elon Musk believes the time is coming where there will be thousands of launches each year – as humanity becomes multi-planetary. 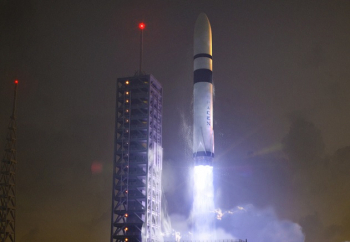 The recent mission to launch the batch of ORBCOMM satellites struggled to get off the ground for a number of weeks, due to multiple factors such as technical issues, the weather and the availability of the Eastern Range. While the challenges associated with finding acceptable conditions for launch can vary by rocket and launch site location, Florida’s unpredictable weather can upset even the best behaving rocket eager to depart from Cape Canaveral. Eventually launching on July 14, the successful ride uphill resulted in the six new spacecraft all reporting back as healthy, ready to begin their orbital operations. With no time to waste, SpaceX is already into the next flow towards launch, turning around SLC-40 for what will be two launches in close succession for ASIASAT. First to ride on the Falcon 9 is the ASIASAT-8 spacecraft, with its current launch date set for NET (No Earlier Than) August 5. ASIASAT-8 is based on the Space Systems/Loral 1300 series platform, equipped with 24 Ku-band transponders and a Ka-band payload. 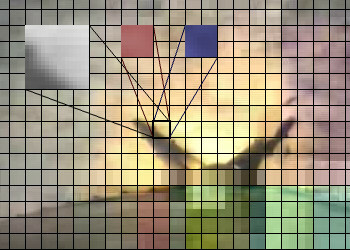 The processing flow for this satellite’s ride to its eventual destination at 105.5 degrees EAST, is – as per usual in the commercial arena – rather secretive. However, the collation of documentation and first hand observations can provide some insight into the pace employed by SpaceX’s in-house operation. 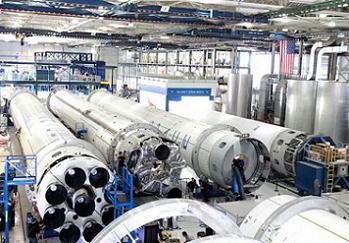 Only just last September, SpaceX published a picture of several cores on the factory floor at its Hawthorne base. L2 information identified the flight cores as Falcon 9 first stages F9S1-008, F9S1-009 and F9S1-010. Less than a year later, all of those cores have since enjoyed pushing their payloads uphill, while the follow-on F9S1-011 core has already been constructed, tested at SpaceX’s Rocket Development and Test Facility in McGregor, Texas – after being spotted there in May – and is now ready for its own launch next month. This next F9 will be rolled out of her hanger this week for a Static Fire test, currently scheduled for the evening of July 31 (per L2). Providing the test goes to plan, SpaceX will then conduct a Launch Readiness Review (LRR) to confirm what is currently a Range Approved launch window of 01:25 to 03:25 Eastern on the morning of August 4. A successful launch will provide a green light for another speedy turnaround of SLC-40, with the next ASIASAT satellite waiting in the wings for its ride to a Geostationary Transfer Orbit (GTO). 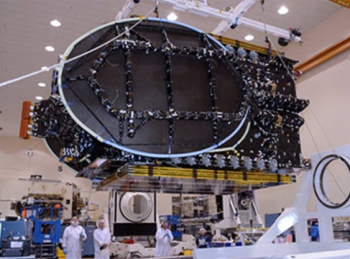 ASIASAT-6 – also based on the Space Systems/Loral 1300 platform – is designed to provide C-band coverage over Asia, Australasia, Central Asia and the Pacific islands. Sporting 28 high-powered C-band transponders, with a design life of 15 years, it will be positioned at the 120 degrees East orbital slot, with a global beam and a regional beam to offer enhanced power and look angles for video distribution and broadband network services in the region. While ASIASAT-8 arrived at Cape Canaveral by truck, ASIASAT-6 will be flown into Florida on an Antonov An-124 transport plane. “AN124 arrival, delivery and download of ASIASAT-6 satellite for SpaceX, July 30th (morning, local time),” confirmed L2 information. The ASIASAT-6 launch is currently scheduled for August 25, just 21 days after the current target of ASIASAT-8’s mission. And the pace won’t ease up after the launch of the two ASIASAT birds, with the SLC-40 pad once again cleaned up and prepared for yet another launch in September. This time the Falcon 9 v1.1 (F9s1/s2-013) will be tasked with lofting the next Dragon spacecraft (CRS-4/SpX-4) on a logistics resupply run to the International Space Station (ISS). Before the year is out, yet more missions will follow, with the second ORBCOMM OG2 set of satellites, potentially the TurkmenSat 1 launch and another Dragon mission (CRS-5) planned for the latter part of 2014. For this manifest to come together as scheduled, SpaceX – as with any launch services provider – will require a lot of good fortune; from well behaved rockets, to good launch weather. All being well, SpaceX will complete 2014 with a new personal best for the amount of launches in a calendar year. Then, in 2015, SpaceX expects to increase its capability via the addition of the triple core Falcon Heavy, taking up what the company previously envisioned as a “tag team” effort between the F9 and her big sister. Although the vehicle has been delayed from its initially planned 2013 debut, SpaceX head Elon Musk announced the Falcon Heavy as an enabler to reach the 20 launches per year mark. “Ten Falcon 9 rockets and ten FH rockets in any given year – 20 launches a year is not a crazy number,” he noted during the FH announcement in 2011. Falcon Heavy is set to debut from the newly acquired Pad 39A, which is already undergoing redevelopment to host the large rocket, breathing new life into the pad that has been mothballed since the end of the Space Shuttle Program (SSP). Per L2 information, the Mobile Launch Platform (MLP) Pedestals and some of the Sound Suppression System hardware has been removed. Sources also note SpaceX was recently in negotiations with NASA KSC managers on where they can build the Transporter Erector (TE) that will then be located at the pad, ahead of its role in hosting – and providing the umbilical connections – for Falcon rockets, as they are translated into the vertical position ahead of launch. 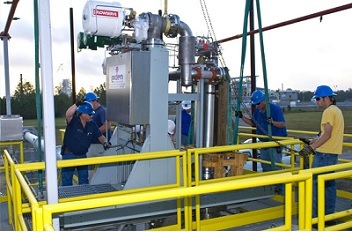 The company is also preparing to remove the pad’s shuttle specific Rotating Service Structure (RSS), before adding at least two more levels to the existing Fixed Service Structure (FSS). The FSS will eventually return to the role of providing crew access, this time for the manned Dragon V2 spacecraft – another big milestone for the Californian company – while also supporting a hammerhead crane for vertical payload integration requirements. The pad could also be “upgraded” – by building additional FSS levels – potentially hosting the initial version of the monster rocket SpaceX has planned for the push towards the human colonization of Mars. With the eventual goal of creating the Mars Colonial Transporter (MCT) launch system, SpaceX is expected to build a family of Super Heavy Launch Vehicles (SHLVs) driven by nine Raptor “full flow methane-liquid oxygen” rocket engines. 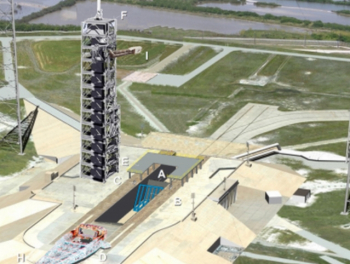 The potential of utilizing Complex 39 past Falcon Heavy has several caveats, with many intimations that – at the very least – the largest versions of the Raptor rocket would require an entirely new launch complex due to their huge thrust levels. For the near-term, SpaceX is currently preparing to begin initial testing on Raptor hardware at NASA’s Stennis Space Center, while a plan of action, per the creation of the MCT architecture, is already in the early phase of evaluation – such as the potential to refuel the monster rocket’s second stage in orbit. By the time the Raptor driven “BFR” is roaring into the heavens, SpaceX believes its launch rate will already be far and above the current near term goal of 20 launches per year. In fact, Mr. Musk believes it will be in the hundreds, if not thousands, within the next two decades. “Long term, we really want to get to the point where there can be thousands of space flights a year, and ultimately where we can have a base on the Moon and a base on Mars and become a multi-planet species and a true space-faring civilization. That’s where things need to go in the long term,” he noted to selected reporters after the event that revealed his Dragon V2 spacecraft. (video and transcript). Mr. Musk has been consistent in his portrayal of using his company’s unique approach to design, fabrication and processing of rocket hardware to achieve the ambition of sending people – including himself – to Mars. “My dream of space is that humanity becomes a multi-planet species. That we’d have a self-sustaining civilization on Mars and perhaps on the Moon and elsewhere in the solar system,” he added. “Once you have that established, I think over time, that would create a forcing function for the continued improvement in space flight technology and eventually we’d even go beyond our solar system. To me, that’s a really exciting, inspiring future and it’s one to which we should aspire. In order for SpaceX to achieve its major role in such a dramatic increase in the flight rate, the company will mature its plans to increase the amount of launch pads it has at its disposal, not least by expanding launch operations into new sites such as Brownsville, Texas. L2 source information also notes plans for increasing capacity at SpaceX’s SLC-4 facilities at Vandenberg Air Force Base in California, with an eventual medium term goal of allowing for a flight rate of up to 30 launches per year – a flight rate likely related to the potential of winning numerous EELV contracts. Another major element toward increasing the flight rate and reducing costs is SpaceX’s major drive towards fully reusable launch systems. SpaceX engineers have already conducted numerous testing, both at their test site at McGregor and during recent missions, ranging from impressive leaps of their Grasshopper and Falcon 9-R Dev -1 vehicles – with even the local “rocket cows of McGregor” now accustomed to the regularity of testing – through to propulsive ocean landings of core stages, complete with their landing legs. Varying levels of success have been achieved, with important lessons learned on the controllability of the stage as it returns back to Earth. Improvements to the stability of the stage has resulted in the last two cores returning for a controlled ocean landing, with their legs deployed. As seen via the onboard video from the CRS-3/SpX-3 first stage return – a video that was recovered via a huge crowdsourcing effort by NASASpaceFlight.com members – and slightly obscured footage more recent ORBCOMM OG2 mission, both stages completed their propulsive returns in style. However, SpaceX is yet to recover a stage from the ocean, after both cores were destroyed by the unforgiving Atlantic waters. “This (ORBCOMM OG2 mission) test confirms that the Falcon 9 booster is able consistently to reenter from space at hypersonic velocity, restart main engines twice, deploy landing legs and touch down at near zero velocity,” noted SpaceX in a post-mission release. Losing the stage once it was in the water is not a major problem for SpaceX, given the eventual plan is to return these stages to terra firma for reuse. That aspiration may soon become a reality. “At this point, we are highly confident of being able to land successfully on a floating launch pad or back at the launch site and refly the rocket with no required refurbishment,” added SpaceX. With the upcoming ASIASAT missions involving heavy birds that require very high velocity transfers en-route to their geostationary destination, there won’t be enough residual propellant on the F9 v1.1 core for landing attempts. As such, the next Falcon 9 to sport landing legs and aim for a controlled return to Earth will be F9S1-013, tasked with aiding the CRS-4/SpX-4 Dragon uphill. The following two flights will up the stakes, aiming for a propulsive landing on a “solid surface” – a reference to the “floating pad”. It has since been confirmed the return will be aiming at the deck of an unnamed barge. 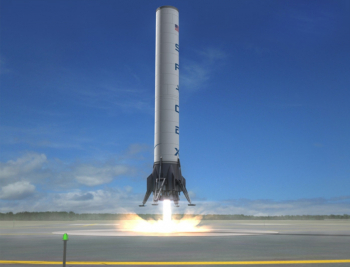 However, there are rumors SpaceX may go for the barge landing as early as the CRS-4 mission. Eventually, the huge milestone of a core stage launching and returning to land for reuse will be conducted – an achievement that was previously dismissed by critics as almost impossible, or at the very least with a massive payload penalty, when Mr. Musk first revealed his intentions. L2 information notes SpaceX is evaluating first stage landing sites at both its East and West coast launch locations, with SLC-13 at Cape Canaveral and SLC-4W at Vandenberg understood to be the favored options at this point in time. The information also provides intriguing, albeit unconfirmed, notes that SpaceX may be looking at an island downrange of the West Coast launch site for returning Falcon Heavy cores, in the event a high payload penalty negates a return to SLC-4W. SpaceX officials – when asked about the specific island of interest (which we are not naming in the event they are in negotiations) – were unable to confirm or deny the information. What can be noted with confidence is SpaceX’s continued path towards the aspirations of its highly respected leadership – with Elon Musk and Gwynne Shotwell at the helm – ambitions that will likely result in humanity’s best hope of finally stepping foot on Mars. 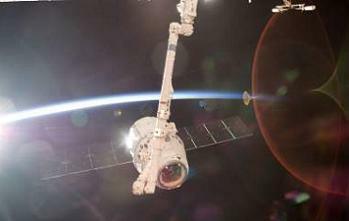 (Images: via SpaceX, NASA, ASIASAT and L2. 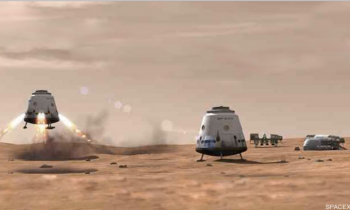 BFR/MCT, Pad 39A and Rocket Family graphics via L2, created by L2 members – click here for L2 menu page of the large range of renderings, data crunching and envisioning – these are not official SpaceX graphics).